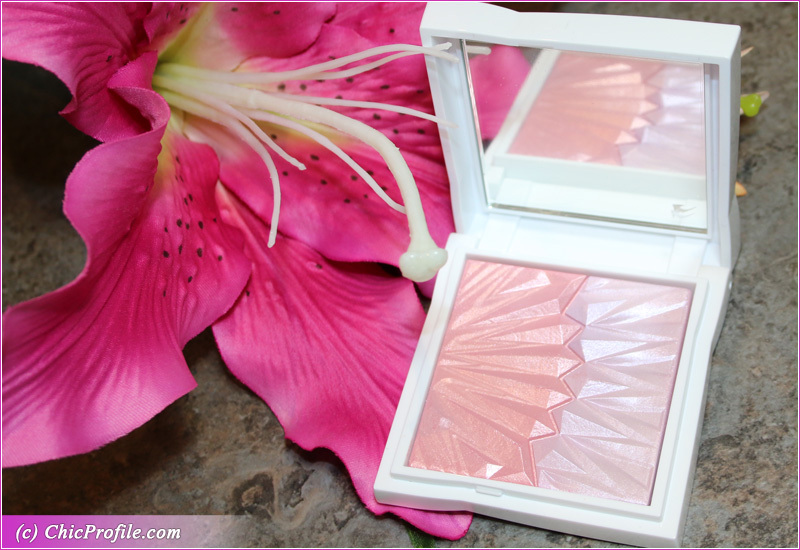 I had my eyes on Guerlain Meteorites Holographic Highlighter Duo since I first heard about Guerlain Spring 2019 Morning Love Collection. 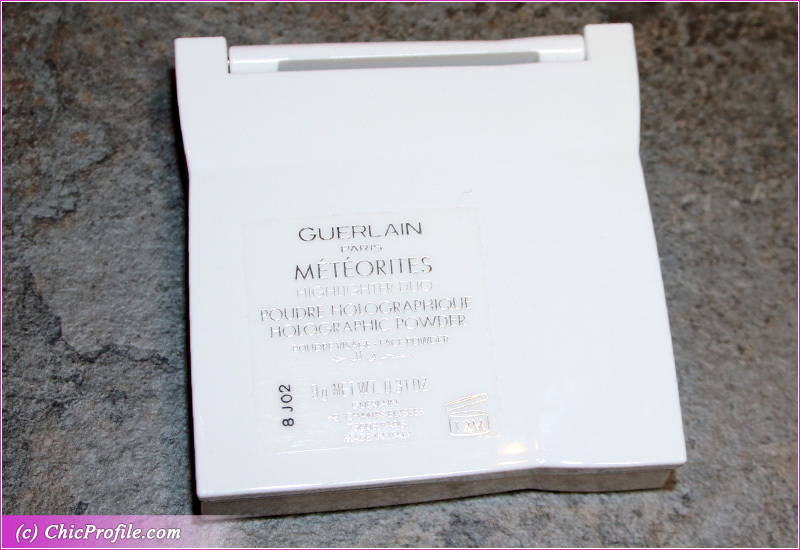 This is definitely something new that Guerlain has come up with so I bought it straight away. It’s actually the only product from the entire collection that I bought and got my interest. 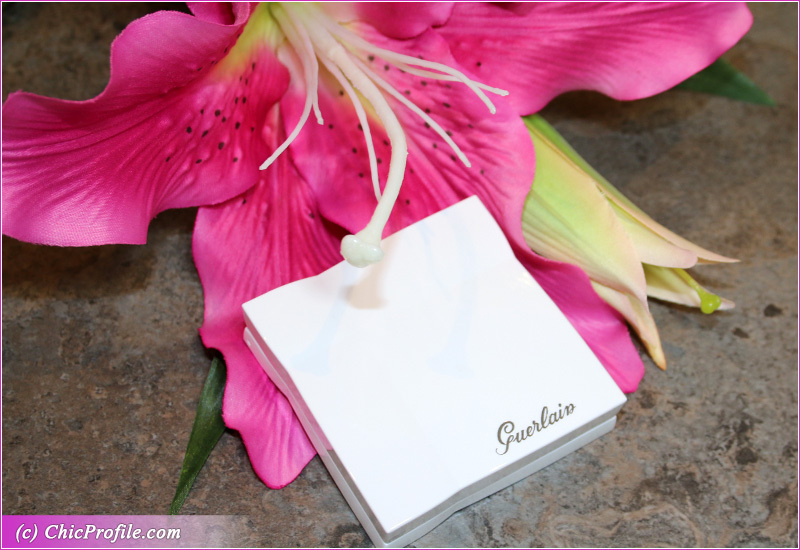 I was familiar with Guerlain’s white packaging for their Spring makeup collections (even for Summer items sometimes) so this was no newness for me. 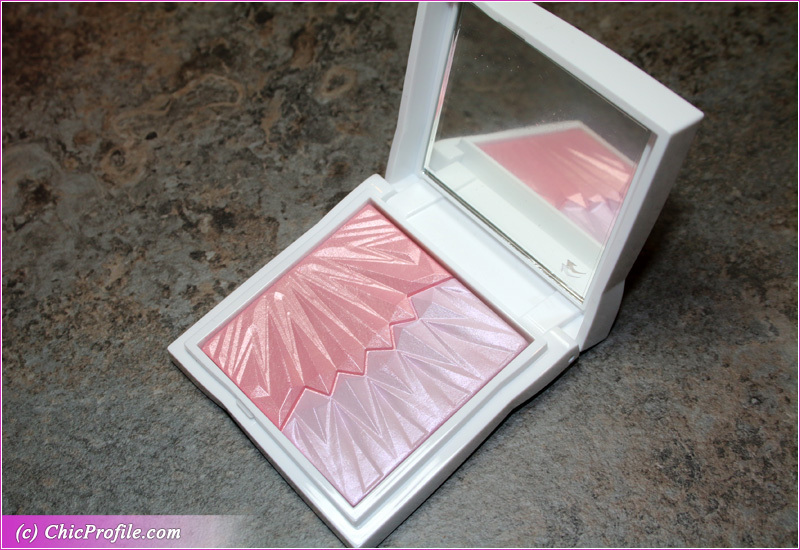 The concept of a Guerlain highlighter duo and how different this product looked was what made me so eager to buy it and try it out. So after I’ve already wear it a couple of times, I’m here to share my thoughts with you. By the way the product looks in the promo photos I knew it would definitely be suitable for my light skin tone. The colors are meant to awaken your complexion, to give you a fresh and glowy skin. Both shades were inspired by the soft morning light and beautiful pastel skies. I’m more inclined to recommend this highlighter duo to those with light and fairly medium skin tones. 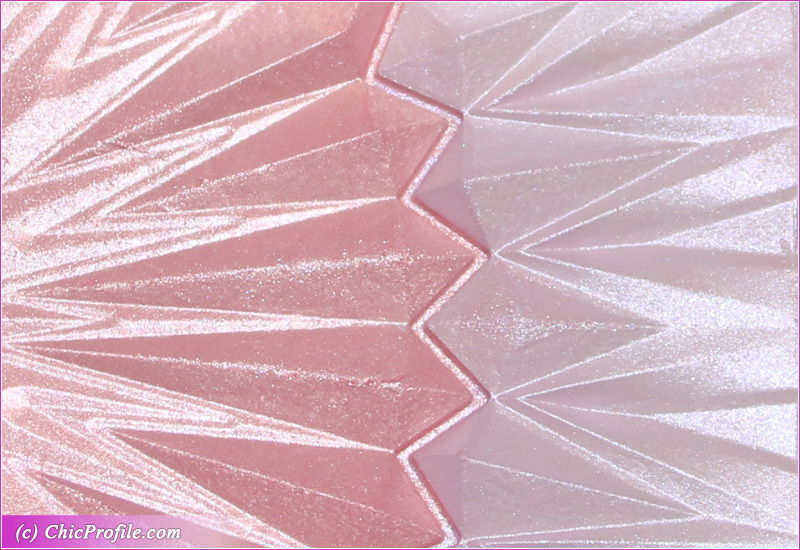 Guerlain Meteorites Holographic Highlighter Duo ($62.00 / £45.00 / €56.00 for 9 g / 0.31 oz) is a new and limited edition duo highlighter with pearly rose and soft lilac shades. The formula feels lightweight, almost like gel to powder and doesn’t kick off any powder excess in the pan. The best way to apply this highlighter is by using a medium dense brush. Don’t be afraid to dip your brush into the pan and pick up a serious amount as the color is super blendable. It won’t be super pigmented in one layer which I kinda like as it gave me the chance to build up the color gradually. 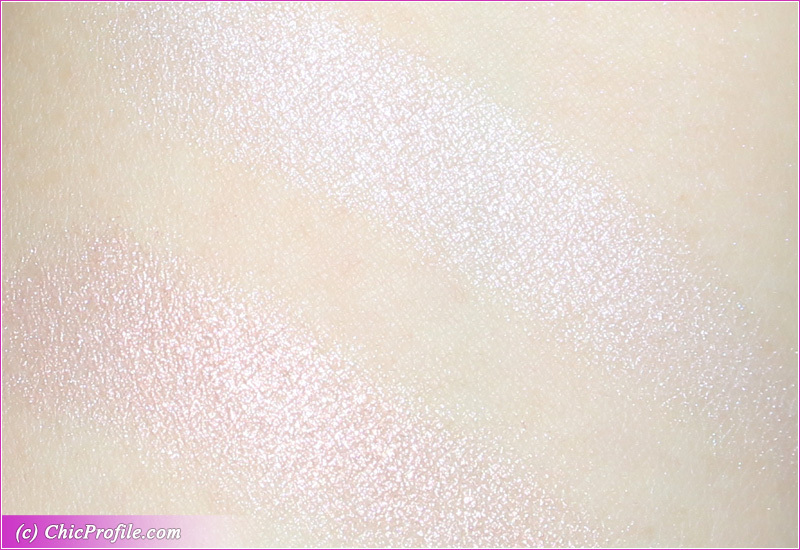 Guerlain Meteorites Holographic Highlighter Duo has bits of shimmer, but nothing that will look too sparkly or dramatic. It won’t make your cheeks extremely shiny and it won’t give you that over the top glow. I would say it has a more discreet twist while adding a decent amount of shimmer, which makes it perfect for spring and summer months. Holographic Rose is a soft, sparkling pearly rose with warm undertones and a pearly finish. 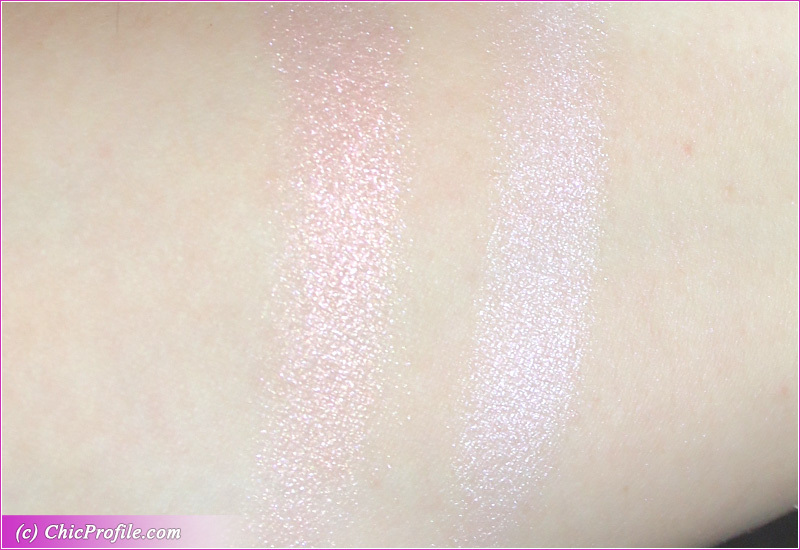 The sparkling bits were fairly noticeable when swatched but on the skin they just give a fresh glow. 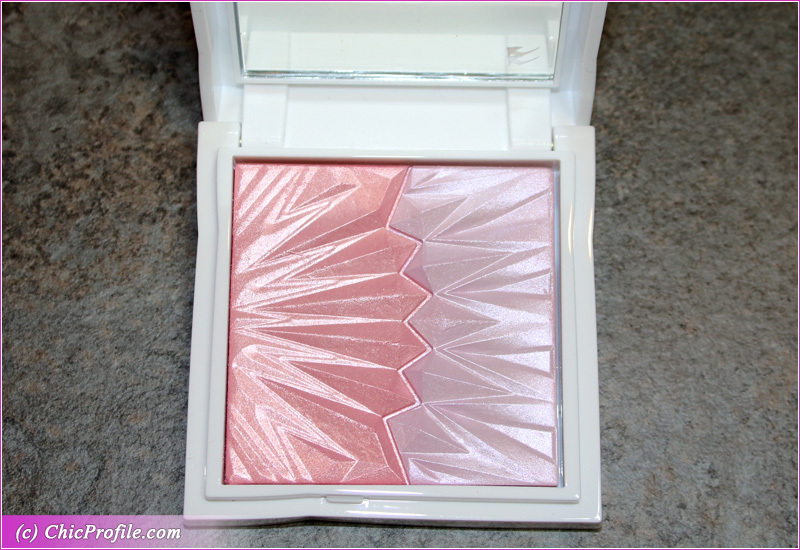 If you like a moderately highlighter with a touch of shimmer this would be perfect. It doesn’t look glittery at all, it just leans more to a pearl and luminous sheen. It was easily buildable to a semi opaque pigmentation in two layers. The swatches you see in the photos bellow were taken in two layers. If you do want a more discreet glow then you can stop after the first layer with a medium coverage. The texture was dense, adhered well even on bare skin without no fall out. It didn’t emphasize my pores or my skin texture, while it was easily blendable. I got around seven and a half hours wear with this shade. Holographic Lilac is a light lavender with cool undertones and a soft metallic sheen. It had a good color coverage, being almost opaque in a single layer. I personally think this color is a bit more pigmented than the pink version. The consistency was smooth, dense and easy to work with. It adhered well onto my skin, being easily blendable and giving no fall out. I failed applying this color with my usual fan-type highlighter brush so I went for a denser brush which gave me a better application. With my airy fan brush I got a very soft color, almost a semi-sheer finish but a denser brushed definitely improved the application. I see how this shade gives a nice holographic glow. I personally even combined it with the pink or just easily applied it next to the pink shade on my cheeks and blended in between. It took me close to eight hours wear before it started to fade noticeably. Unfortunately I’m hesitating for a bit to recommend this to olive and darker skin tones. The lilac shade may tend to look a bit ashy in my opinion. I’m curious if any of my readers with darker skin tones have tried it and how do they feel about this highlighter.